I started my career at Cinglevue in Jan, 2018 soon after my graduation from Computer Science & Engineering department, University of Moratuwa. Education is the only weapon anyone could have and sharpening that weapon would create highly intelligent people. I chose Cinglevue because I saw the company was serving the most needed education through their products. Since this is my first job it was challenging for me to adapt myself to fit the technologies, best practices, strategies and culture of the company. But fortunately Cinglevue team was very helpful and guided me throughout this time to shape up myself in those aspects. At Cinglevue I was able to contribute to enterprise applications and got the opportunity to apply what I learnt in the university in those applications. Continuous learning, encouraging to learn and applying what is learnt is the beauty I see at Cinglevue. Learning includes both new technologies & best practices. 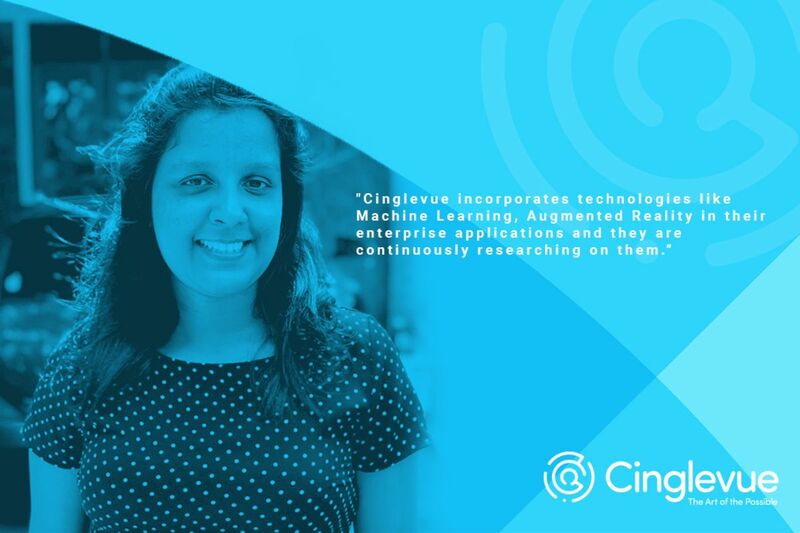 Cinglevue incorporates technologies like Machine Learning, Augmented Reality in their enterprise applications and they are continuously researching on them. The company has a flat hierarchy where everyone interacts very friendly. This is a very flexible company and freedom is given to everybody allowing them to engage in decision making. I feel Cinglevue is a great place to work and grow my career whilst serving the company at my best.